NIU Presidential Research Professor Jeff Kowalski stands in front of the jaguar throne in the Lower Temple of the Warriors at Chichen Itza, Mexico. Is that the Maize God or an ancient image of Elvis? What kinds of dog breeds were common to the ancient Maya area? How did the diets of the high and mighty differ from that of the hoi polloi in the Maya city of Palenque? These are just a few of the questions to be considered when the Annual Meeting of the Midwest Mesoamericanists convenes Friday, March 28, and Saturday, March 29, at NIU. Hosted by both the College of Visual and Performing Arts and the College of Liberal Arts and Sciences, the conference will draw participants from the United States and Canada. Archaeologists, art historians and geologists will present recent research on Mesoamerica. The conference opens at 6 p.m. Friday in Room 100 of Jack Arends Hall with a keynote address by NIU Presidential Research Professor Jeff Kowalski. Presentations will continue from 9 a.m. to 5:30 p.m. Saturday in Room 100 of Cole Hall. All presentations are open to the public. Parking is available in the Visitor Lot. Students are encouraged to attend the conference and meet the speakers. Anyone considering a career in Latin America will enjoy this sampler of the cultures of ancient Mexico and Central America. 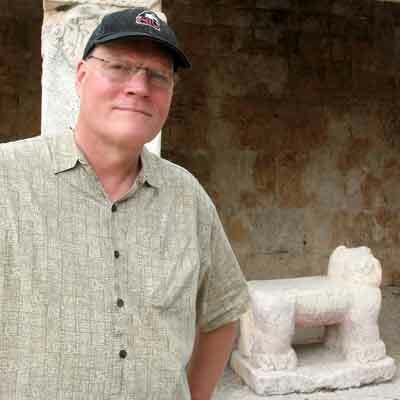 Professor Kowalski’s keynote address will explore the ways in which political leaders in ancient Mesoamerica used references to the past, particularly events associated with divine creativity and the deeds of distant founding ancestors, to provide a sense of divinely ordained legitimacy for contemporary sociopolitical organization. 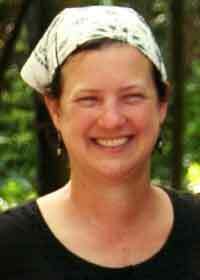 The NIU Department of Anthropology’s Kerry Sagebiel, laboratory director and ceramic analyst for the Ka’Kabish Archaeological Research Project, will present her research at the ancient Maya site of Ka’KaBish in Belize. Sagebiel offers NIU students the opportunity to participate in her ongoing archaeological investigations in Belize, where they learn archaeological skills while excavating an ancient Maya site.